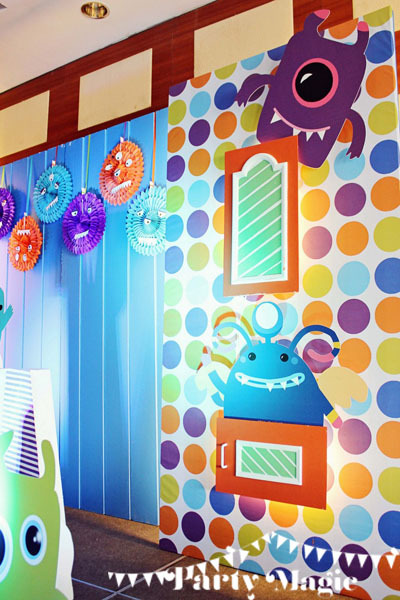 In one of my other posts, I discussed 5 themes that are truly unique and up-to-date (see Top 5 Unique Birthday Party Themes). 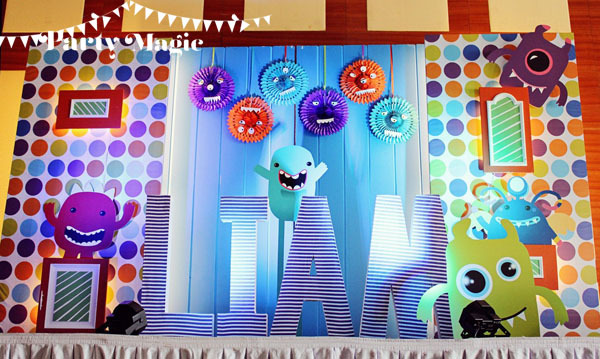 One of the themes mentioned there is my all-time favorite one, Liam’s Monster Bash (just that title already gives me the goosebumps! ), which Party Magic did some time last year. What’s important to realize about any Monster-themed party is that there really is no one exact template or aesthetic that governs this theme. 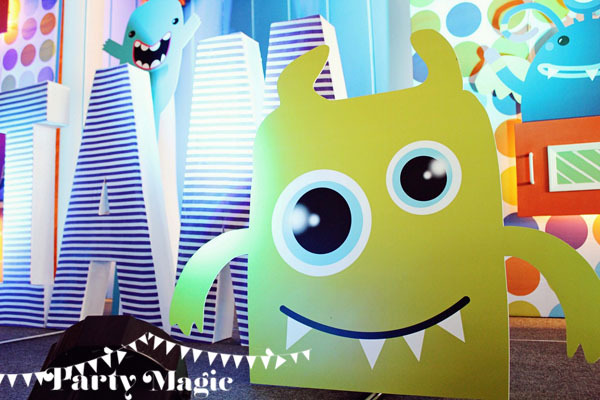 So when you say “Monster party”, it could mean anything from little monsters, monster high, kiddie monsters, and any other combination or version that you can think of. Again, the possibilities are endless, and you are only limited by your own imagination! Aren’t they all cute? Again, you do not have to be limited with just the stage. You can incorporate these critters in your invitation, on your table centerpiece, or even on your dessert table! My personal favorite is that fat blue one waving from behind that orange cabinet door! Hi!! 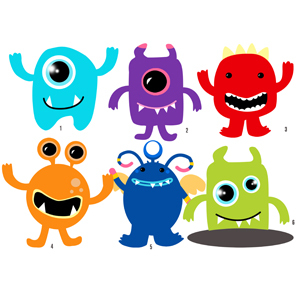 Now, I would like to personally share these 6 of my monstrous friends with all you DIY moms out there. If you are on a budget, and would like some professionally designed monster characters, you can get these critters for just $1.99 (or around P80-P90 only!). Just go to my online shop, and look for the Ultimate Monsters Printable Jet Pack. A happy happy birthday to Liam, and Liam’s wonderful family!